Coming soon to a store near you (if you happen to be in Washington State). Captain’s Nautical Supply in Seattle will soon be selling Issue One of The LiveAboard DocuComic Series, Dock Dorks. Please check out their web site for all of the cool things they sell for boaters. 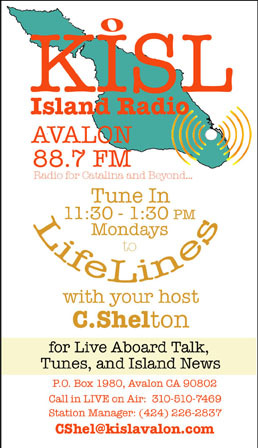 Also new this week, is LifeLines, my boater-centric radio show aired from KISL 88.7 FM here in Avalon. Tune in online at KISLavalon.com. There are four or five ways to hear the show live and in a couple of weeks the recorded shows will be available in the archives. This entry was posted on Friday, June 14th, 2013 at 7:24 pm and is filed under Cruising Life and Firsts. You can feed this entry. You can leave a response, or trackback from your own site.